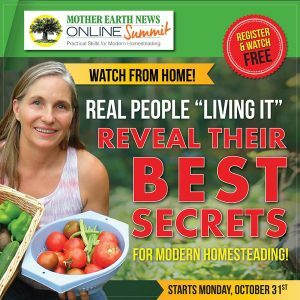 Join me at the online homesteading summit! When I tell people about the Mother Earth News Fairs where I’ve spoken, they usually say they wish they could attend. Boy, do I understand that! They are so much fun! Even though they draw crowds of 14,000 or more people, not everyone can attend. I’ve spoken in Washington State, Kansas, Pennsylvania, and North Carolina, but that still leaves most of the country at least a day’s drive from one of the live events. So, you can imagine how excited I am about the idea of having an ONLINE summit! 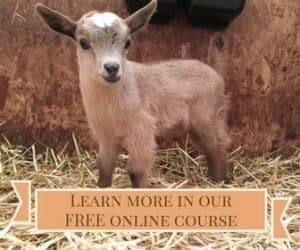 Now, everyone with a computer or smart phone can attend! I’m presenting a brand-spanking new talk that’s never been presented anywhere before. It’s all about our “Fencing Bloopers” and how you can avoid making the same mistakes we did. As you know, we were clueless city slickers when we moved out here in 2002. I’m brutally honest about all of the mistakes we’ve made, but I’ve never lined up all of our fencing mistakes in a single talk before. In fact, most of my audiences have never heard any of these stories. Even if you’ve got the whole fencing thing figured out, you might want to watch just for a few laughs. 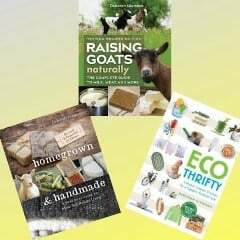 In addition to my talk, there will be more than 35 other presentations about all facets of homesteading. There will be a variety of talks about chickens and gardening, as well as things that are much harder to find info on, such as making buckskin clothing and seven ways to prepare thistle. Considering how much thistle grows around here, I need to see that presentation myself. Click here to see the full list of presenters and topics. You definitely can’t beat the price of this event since it’s FREE. Can I watch a presentation more than once? Another advantage of the online summit is that you can watch each presentation as many times as you want for the 24 hours that it’s available. Obviously, you can’t do that at a live event. Can I purchase recordings of the presentations? Yes, you can purchase recordings of all the presentations. And if you purchase the recordings after clicking on the links in this post, I will receive a commission, so you will be helping to support this blog. So, thanks in advance, if you buy! Click here to register, and when the summit starts, you’ll be sent an email every day with that day’s schedule so that you won’t miss any of the talks you want to see. If you have any other questions, just ask in the comments below. I already told you that I personally am looking forward to the talk on preparing thistle. Which one are you most looking forward to?